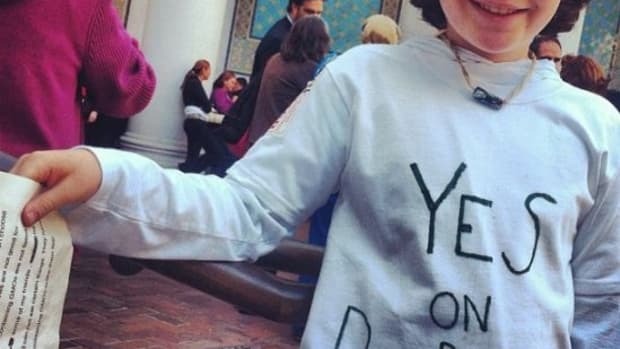 But, Proposition 37—California&apos;s 2012 ballot measure which would have required labeling foods containing genetically modified ingredients—had it passed in last week&apos;s election, would have been a monumental starting point in addressing the issues surrounding the rampant use of GMOs in our food supply, which are virtually unregulated and only marginally tested for human health and environmental safety. George Carlin eloquently (and graphically) reminded us once that everything is indeed natural—all we make comes from the earth—including plastic and pollution, pesticides, biotechnology, and, even the human greed driving these industries. 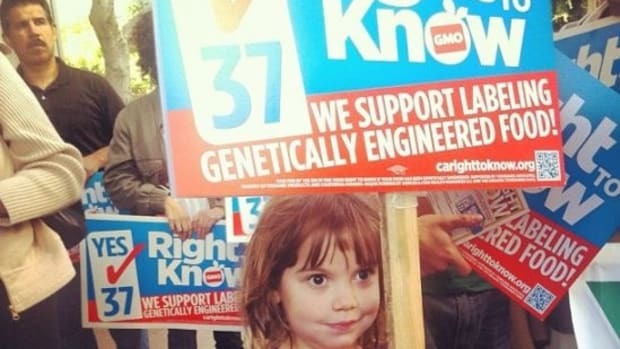 And, of course, so is the disdain many Americans feel about the risks connected with GMOs and the desire to simply know which foods specifically contain the questionable ingredients. What Carlin&apos;s brilliant mind could have also helped us to deduce is just exactly what we can do about the disparity between corporate agendas and our ability to exercise some kind of sovereignty over what goes onto our plates. While millions of voters made every effort to pass this measure to help California become the first state to label genetically engineered foods (more than 60 countries already have similar regulations in place), with less than $10 million in funding, the Yes on 37 campaign went up against a budget nearly five times that courtesy of the usual suspects: Monsanto, Dow, DuPont, Bayer, Kraft, Proctor & Gamble, Coca-Cola and so on. These household name brands that spend billions of dollars in marketing efforts designed to convince us that they have our best interests at heart, weren&apos;t even honest in the attempts to defeat the measure. 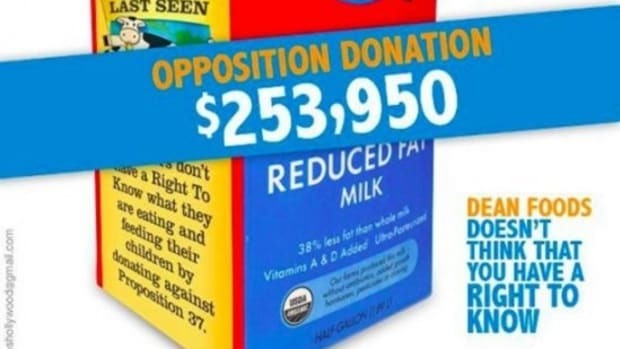 They positioned it as the "costly food label bill," never mentioning the fundamental issue—even to assure consumers that GMOs are just as safe as non-GMO foods. Instead, the "No on 37" camp preyed upon fears that food prices would go up and that shopping would become more difficult and more confusing. In other words: they lied. Granted, the bill wasn&apos;t ideal. Meat, eggs and dairy made from animals raised on GMO grain diets would not have had to be labeled, despite the fact that they&apos;re some of the most commonly purchased items. Some of the tactics used by the California Right to Know campaign were as deceptive or misleading as the opposition (KCET cites a "ham or human" image that went viral on Facebook). 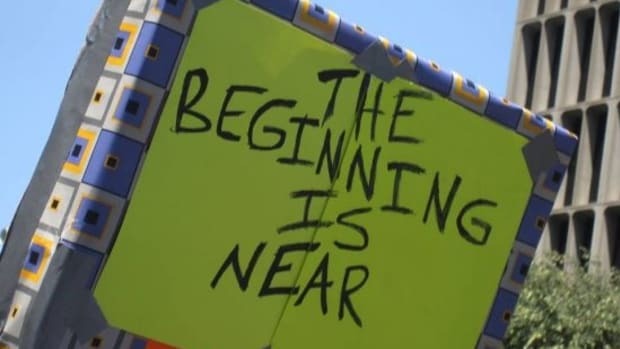 But regardless, "Huge numbers of people became aware for the first time that they were eating GMOs—we have changed the whole conversation," said leading expert on GMOs, Jeffrey Smith. At the very least, Prop 37 would have helped consumers who have, by no fault of their own, become so entrenched in a processed food system that they simply don&apos;t even know where to begin pulling themselves out. Not only do most average consumers not yet have the eye for spotting GMOs (which, surprisingly, is not as difficult as it may seem), they don&apos;t even really know how to cook for themselves without the help of Hamburger Helper or other meal mixes that actually don&apos;t shave much time off of meal preparation, but rather just reduce the amount of ingredients and interaction necessary. "Box meals don&apos;t save us time any more than going out to eat does, and they don&apos;t even save us money. What they do instead is remove the need to have to come up with a plan for dinner, something that&apos;s easy when you&apos;re a skilled cook—and bafflingly difficult when you&apos;re not," wrote Tracie McMillan in her stunning book "The American Way of Eating: Undercover at Wal-Mart, Applebee&apos;s, Farm Fields and the Dinner Table" (Scribner 2012). The issue for most consumers is modernity&apos;s fundamental relationship with corporate food. As Michael Pollan said, "It turns out corporations don&apos;t cook very well, and the cost of letting them try—to our health and the health of our families and communities—is far too high." 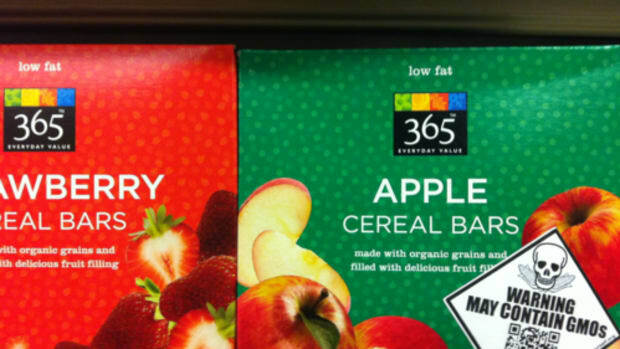 Labeling genetically modified foods would make shopping for GMO-free foods easier. There&apos;s no doubt about that. But, at its core, the bill also still perpetuates an industry that is inherently flawed and problematic for our health and the heath of our environment and farming communities. Do we really want corporate food making up the majority of our diet? The victory in Prop 37&apos;s failure is that if there was any doubt before, there should be no question now that corporations—be they seed and pesticide giants like Monsanto or multinational food brand conglomerates like Kraft or Nestle—care more about money and their own success than whether or not their products are making people sick. 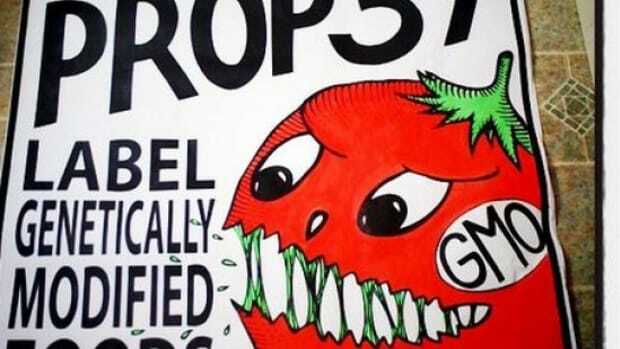 They didn&apos;t honestly address the ballot issue at hand in and they don&apos;t have any intention of labeling GMOs because they know people would stop eating them. Do that anyway. Eat organic. Shop at farmers markets and get to know your local growers. Plant a garden, no matter how small. Buy ingredients and make meals. Share food with your community, friends and family. Cook together. Teach each other. Enjoy food as more than just a basic human need; enjoy it also as a catalyst for happiness, health, connection to the earth, and as a tool in creating social and agricultural change. Cooking is the one tradition we all share, no matter our ethnicity, religion or nationality. It transcends all barriers and can connect us like little else. Corporations can&apos;t yet stop us from chopping vegetables or peeling fruits, eating whole grains, nuts, seeds and beans—the foods that also just happen to be considerably more healthy for us than the boxed, packaged stuff, no matter what the labels might say. 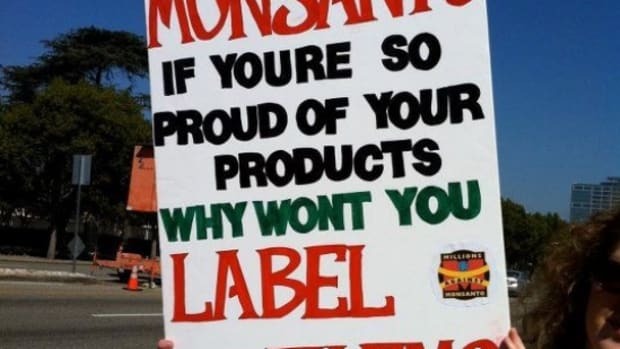 We don&apos;t need a labeling law in order avoid GMOs. We need a basic understanding of where they are and just how easy it is to prepare fresh, whole ingredients on our own and without the help of corporate processed foods that contain labels full of unhealthy ingredients beyond the genetically modified ones. Reclaim your food. Start today. 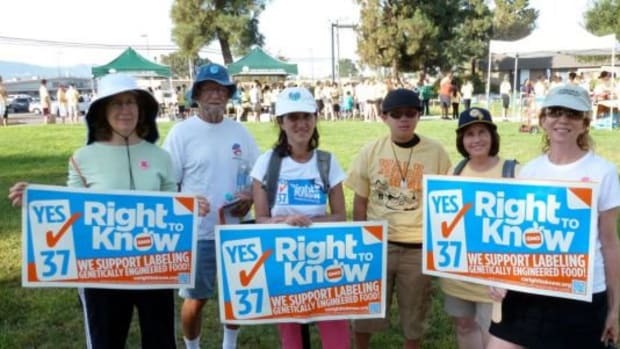 Is the “No on 37” Anti-Labeling Campaign Bending the Truth?